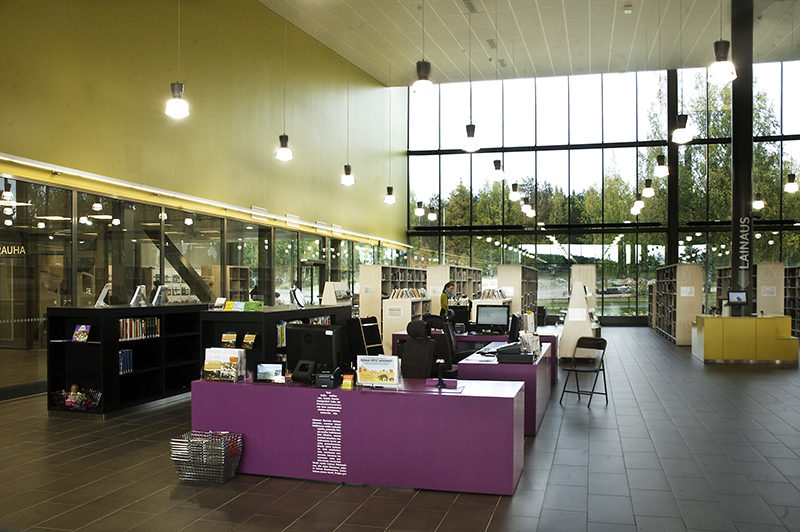 The library shares a location with a comprehensive school and an adult education center. 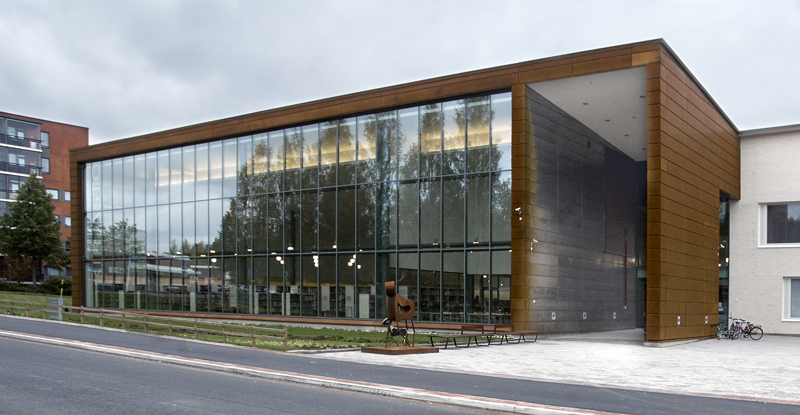 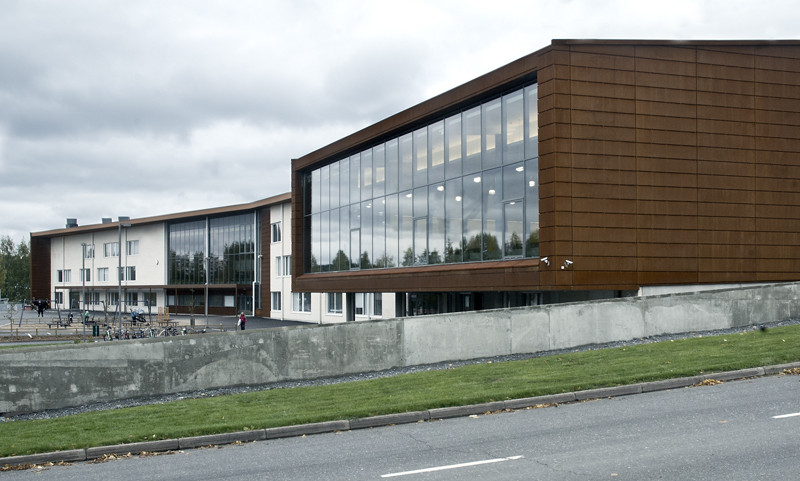 The immediate proximity of the school and Palokka Youth Center sounds in the functions of the library. 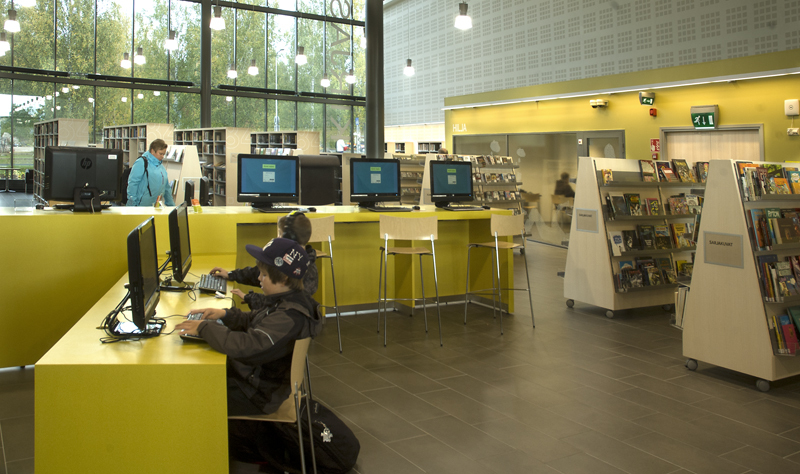 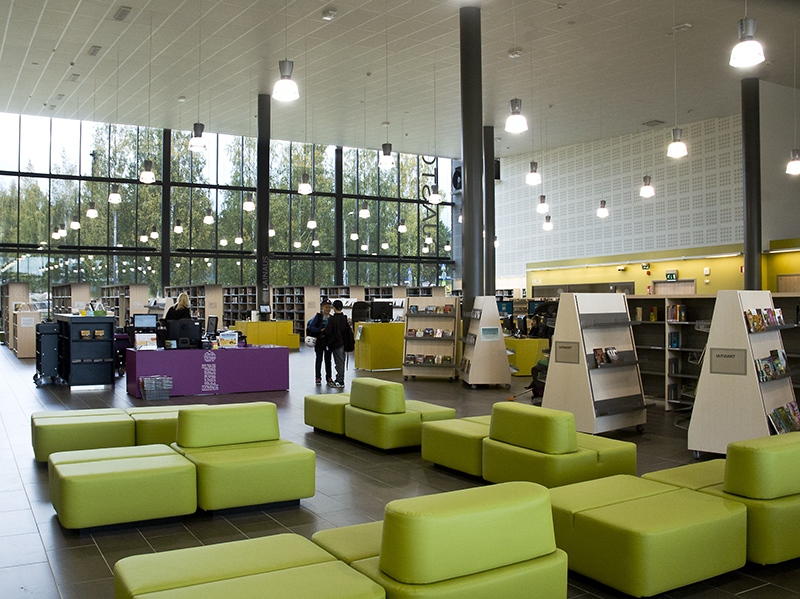 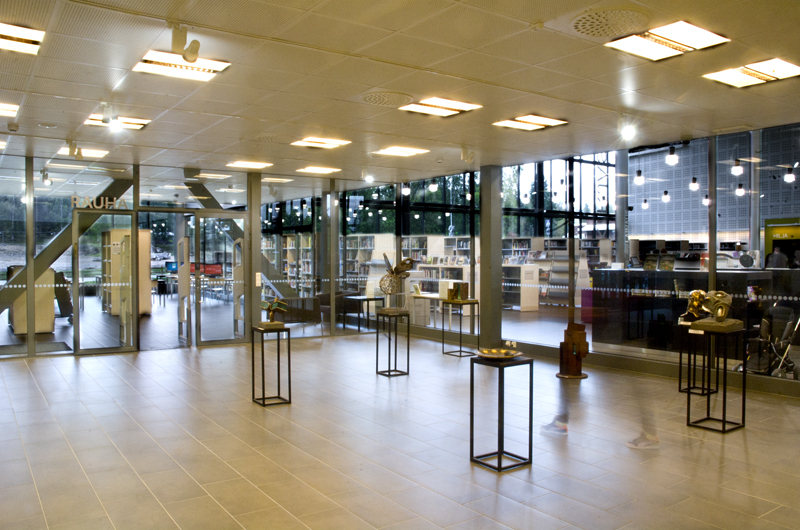 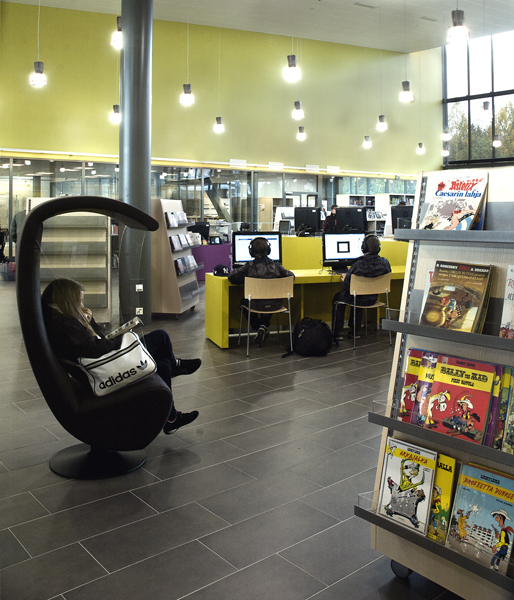 The library is functionally modern establishment that makes it possible to offer traditional library services as well as provide opportunities to create and participate. 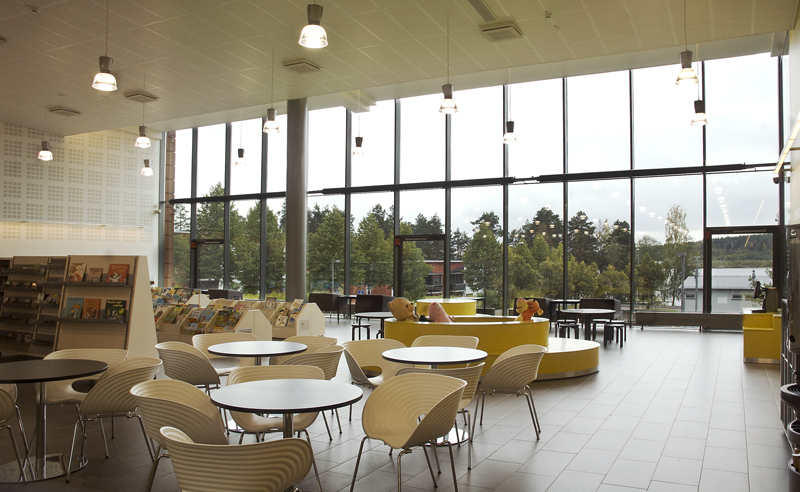 Among other things, there is a stage for performances, a games area, a computer studio to be used in cooperation with the school and the adult education center, and a newspaper and periodicals room that can be used also outside the opening hours. 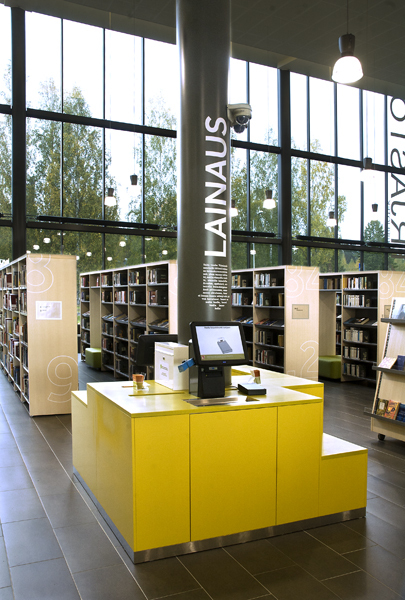 Part of shelves are movable to make the library space adaptable to various functions.